In the Spotlight | VPT, Inc.
VPT is powering the world’s most advanced military and aerospace programs. around Blue Origin ignited the capsule at a higher altitude, successfully testing its emergency abort capabilities. June 25, 2018 — The first satellite with space debris-removal capabilities was launched from the International Space Station last week. 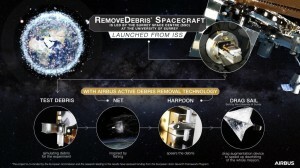 The RemoveDEBRIS satellite is equipped with multiple methods to capture and deorbit space debris, which has amassed to over 6,800 tons in low earth orbit. Currently, over 18,000 objects are in orbit, but only 1,100 of them are working spacecraft. In the past, these objects have collided with and damaged important space equipment. Because new debris is created with each collision, the likelihood of future collisions increases. With an estimated 750,000 pieces of debris already floating in space, active space mission equipment is at risk of collision damage. The mission of RemoveDEBRIS is to help solve this problem. RemoveDEBRIS was launched into space in April aboard a Falcon 9 rocket, where it later arrived at the ISS. Now that it has been deployed, it will begin its mission, with the initial phases to include testing the pair of CubeSats that are on board. The first, called DebrisSat 1, has an inflatable balloon that RemoveDEBRIS will attempt to capture with a net, testing its debris-capturing capabilities. 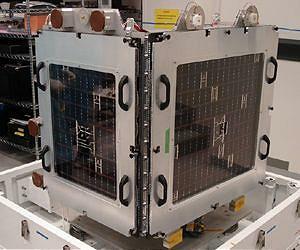 Once this is complete the second CubeSat, DebrisSat 2 (DS2), will be deployed and use its Vision-Based Navigation (VBN) system to track DS2’s movement after it has been released. After these tests, RemoveDEBRIS will test its harpoon by attempting to penetrate and reel in a target that will extend from its frame. Finally, the spacecraft will release its inflatable drag sail, which will essentially work as an airbrake to help the spacecraft deorbit safely. The sail will slow the satellite down enough to speed up its reentry to the Earth’s atmosphere, where it will burn up. With parts on board, VPT is proud to be a part of this vital mission to help remove hazardous space debris and look forward to watching this and future related missions unfold. For more information about this mission, we recommend you watch this video. June 11, 2018 — The New Horizons space probe has awoken from a six-month hibernation in preparation for its New Year’s flyby at the edge of our solar system – the farthest planetary encounter ever made. The spacecraft went into hibernation mode on December 21st to preserve resources and remained in that state, travelling on autopilot, until June 5th where it emerged from its sleep as programmed. It will remain active until the end of 2020, once it has transmitted the data from this mission back to Earth. Now that all its systems are once again fully operational, New Horizons is preparing for its New Year’s visit to the farthest place ever explored by man. The spacecraft will rendezvous with a small, icy object in the Kuiper Belt nicknamed Ultima Thule. Ultima Thule, whose official name is 2014 MU69, is approximately one billion miles from Pluto, where New Horizons performed its historic flyby study in 2015. Even while in hibernation mode, the spacecraft has been moving through the Kuiper Belt since its Pluto flyby and is travelling 760,200 miles closer each day to Ultima. 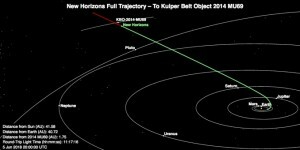 Beginning in August, New Horizons will begin making distance observations of Ultima which will help determine the course it will take for its flyby on January 1st. New Horizons was launched on January 19, 2006 and has since travelled 3.7 billion miles from Earth. In addition to its Pluto and Kuiper Belt mission, it also conducted long-distance observations of Jupiter’s moon Callirrhoe during a flyby in 2007. VPT is proud to have parts on board New Horizons and we look forward to following it on its historic mission to the end of the Kuiper Belt and beyond. 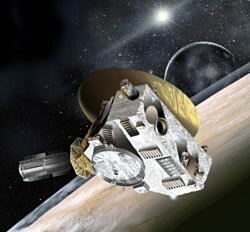 For more information about New Horizons and its missions, please visit its official site. May 3, 2018 — The European Space Agency’s (ESA) ExoMars Trace Gas Orbiter (TGO) has released its first images from Mars which were captured during its mission test phase. The Colour and Stereo Surface Imaging System (CaSSIS), one of the instruments aboard the TGO, recently captured its first image of the Martian surface. The remarkable image – which is a composite of three separate images taken simultaneously — shows a 25-mile long, six-mile wide portion of the Korolev Crater located in the northern hemisphere of the planet. 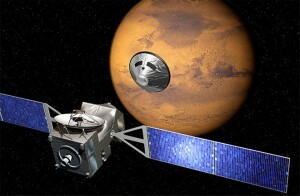 The Trace Gas Orbiter was launched in March 2016 as part of the first stage of the ExoMars program with the intent to study and detect trace amounts of gases in the Martian atmosphere. This information could help determine if there has ever been life on Mars. On October 19, 2016, the TGO achieved orbit around Mars, and recently established a near-circular orbit after performing several braking maneuvers, in preparation for the first leg of its mission which began April 21, 2018. With the goal of determining the molecular composition of the planet’s environment, spectrometers aboard the TGO have begun collecting samples to observe how sunlight reflects off the molecules. Ultimately, future images taken by CaSSIS will be analyzed to look for evidence of trace gasses on the surface. The successful execution of these first set of images is a positive indication that CaSSIS is on the road to further mission success. With VPT parts on board the Trace Gas Orbiter, we are proud to be a part of this mission. We congratulate the European Space Agency on their success. Please visit ESA’s website for more information about the mission. 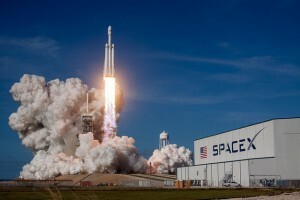 February 9, 2018 – SpaceX’s massive rocket, Falcon Heavy, the most powerful operational rocket on earth, successfully launched its first test flight earlier this week, with a payload that included a cherry red Tesla Roadster. The rocket launched from Kennedy Space Center, with its two first-stage side boosters — both previously used — landing simultaneously on their concrete landing pads. 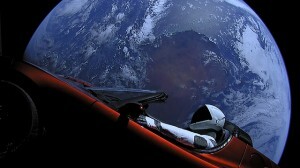 After the successful launch, SpaceX aired a live feed video of the Tesla and its passenger – a mannequin named “Starman”– coasting atop the rocket’s upper stage, in orbit. This stage of the rocket consisted of six-hours drifting in orbit before one final burn intended to send the first car in space on a trajectory around the sun, and finally to Mars’ orbit. The burn was successful, though the rocket exceeded its intended Mars orbit and headed to the asteroid belt instead. The success of this test flight means its next mission later this year may have satellites on board as part of its payload. The Falcon Heavy can lift almost 141,000 lbs. into orbit, which is more than twice the capability of any other space launch vehicle to date. 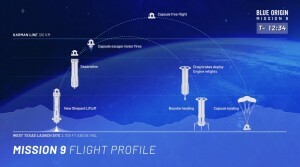 In addition to its capacity, Falcon Heavy can complete these missions for a third of the cost. This, in conjunction with the reusable boosters, enables SpaceX to drastically reduce the cost of long-duration, heavy-lift missions. VPT congratulates SpaceX on another historic launch! With VPT parts on board, we are extremely proud to be part of this mission. To see the launch in its entirety, please watch this video from SpaceX. 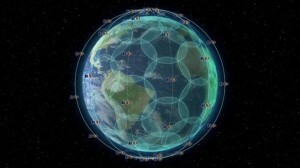 January 30, 2018 — Aireon is in the process of deploying the world’s first global space-based air traffic surveillance system, which will consist of 66 low-earth orbit interconnected satellites. Aireon has already successfully launched and tested 40 Aireon system payloads in low-Earth orbit. Recent tests of the satellite-based system were also conducted and validated by the FAA and NAV Canada. This accomplishment puts Aireon closer to completing a system that will be the biggest technological advancement in air traffic surveillance and control since the advent of radar. The Automatic Dependent Surveillance – Broadcast (ADS-B) system will enable real-time air traffic surveillance around the globe, offering the precise locations of all craft in flight. This is a significant improvement from current ground-based systems which do not have visibility to 70% of the globe. Because of these current “blind-spots”, flights must take additional precautions – often flying longer, indirect routes to avoid interfering with another flight’s path; ultimately making flights more expensive and less efficient. The ADS-B system will result in shorter flight-times, reduced carbon emissions, improved air safety, optimized efficiency, and the potential for millions of dollars in savings. In addition to the 40 ADS-B receivers currently aboard Iridium NEXT satellites, 26 more will be launched, along with nine on-orbit spares and six ground spares. The system has already successfully received over six billion position messages each month. The network of receivers is expected to be completed and operational as early as the middle of 2018. With VPT parts on board, we are proud to be a part of this ground-breaking technology enabling remarkable advancements in air traffic control. We congratulate Aireon and all its partners on the successful launches and tests to date. 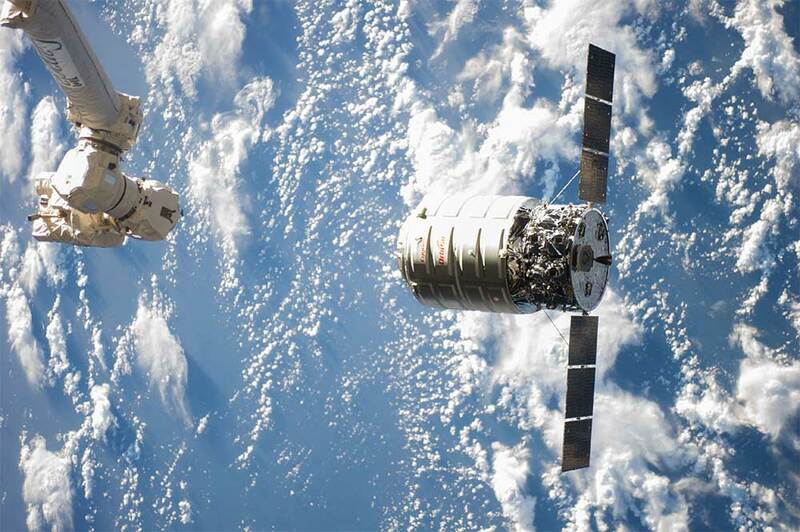 December 21, 2017 – Orbital ATKs Cygnus spacecraft, the S.S. Gene Cernan, successfully completed its eighth cargo supply mission to the International Space Station, officially ending its assignment on December 18th with a safe reentry over the Pacific Ocean. The mission, known as OA-8, began on November 12th, with a launch atop an Orbital ATK Antares rocket from NASA’s Wallops Flight Facility. The spacecraft delivered approximately 7,400 pounds of supplies and science experiments. While docked, Cygnus acted as an extension to the Space Station – a first-time achievement — successfully supporting science experiments. Upon its departure from ISS on December 6th, Cygnus left with 6,400 of materials for disposal, which is the largest amount ever removed by Cygnus during any of its missions. VPT is proud to have been part of this historic mission, with parts on board both the Cygnus spacecraft and the Antares rocket. We congratulate Orbital ATK on their success. For more information about the mission, please visit Orbital ATK. December 19, 2017 — A refurbished SpaceX Dragon capsule arrived at the International Space Station on Sunday after a historic launch. Launched Friday, December 15th from Cape Canaveral Air Force Station in Florida, the capsule delivered more than two tons of supplies for the crew as well as scientific research equipment. This trip marks the first time SpaceX has launched a reused Dragon capsule from atop a recycled Falcon 9 rocket, as well as the first time a recycled rocket has ever been used in a cargo mission for NASA. This Dragon cargo ship was used on a previous resupply mission in April 2015, and the Falcon 9 rocket was the launch vehicle for a different Dragon capsule’s mission to the ISS in June of this year. Reusing the rocket and spacecraft in the same mission greatly contributes to the overall cost reduction and positions SpaceX closer to their ultimate goal of complete reusability. With VPT parts on board both the Dragon capsule and the Falcon 9 rocket, we are honored to be a part of this historic mission. We congratulate SpaceX on their success and continued advancements in reusability. 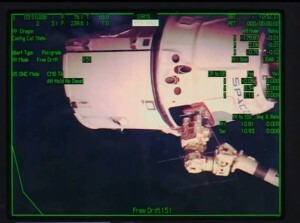 To watch video of the Dragon capsule’s arrival at ISS, see here. October 16, 2017 – The United Launch Alliance (ULA) successfully launched a National Reconnaissance Office (NRO) satellite from the Atlas V Evolved Expendable Launch Vehicle (EELV). The NROL-52 satellite was sent into orbit on October 15th from Cape Canaveral Air Force Station in Florida. The launch was the 74th successful launch for Atlas V, and the ULA’s 26th flight for the NRO. 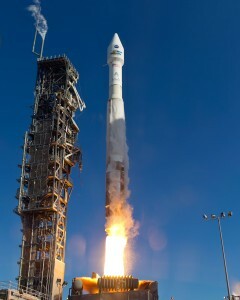 VPT congratulates the ULA on its successful launch. With VPT parts onboard Atlas V, we are proud to be a part of another successful mission. Please visit Space.com for more information about the launch. September 13, 2017 – The United States Air Force launched its X-37B Orbital Test Vehicle (OTV) with a Falcon 9 rocket last week from NASA’s Kennedy Space Center in Florida. This launch marked the start of the OTV’s fifth mission – and first aboard a SpaceX launch vehicle. Shortly after the launch, the first stage of the Falcon 9 rocket made another successful vertical landing. Manufactured by Boeing, the X-37B is a reusable, unmanned spacecraft that can be used as a testing platform for technological research and development in flight advancement. Although the exact purpose of this mission is unknown, the Air Force explained that small satellites are on board, as well as the Advanced Structurally Embedded Thermal Spreader (ASETS – II) which will measure performance of an oscillating heat pipe (OHP). The X-37 spacecraft was built for long-duration missions in orbit and can remain in orbit for nearly two years. Its fourth mission ended earlier this year after 718 days in orbit. VPT is proud to have parts on board both X-37 and Falcon 9, and we look forward to the technological advancements that this mission yields. June 8, 2017 – Earlier this week, a reusable SpaceX Dragon capsule made history by becoming the first commercially built cargo ship to make a repeated delivery to the International Space Station. The capsule was launched by a reusable SpaceX Falcon 9 rocket on June 3rd that landed safely 10 minutes after launch. 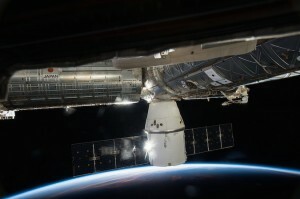 On June 5th, the Dragon cargo ship successfully arrived at the space station containing 6,000 lbs. 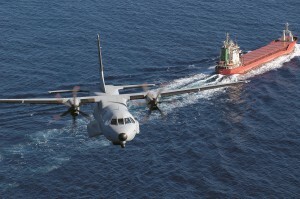 of supplies including essentials like food and water for the crew. Additionally, live mice and fruit flies were delivered for the study of a new osteoporosis drug, as well as scientific studies of how spaceflight affects cardiovascular systems. The cargo ship also delivered scientific equipment including a new earth imaging platform, a new Roll-Out Solar Array panel, and instrumentation to study neutron stars. This marks SpaceX’s 11th resupply mission under their commercial contract with NASA. Notably, SpaceX used this same Dragon capsule for their fourth cargo mission. VPT is proud to have parts on both the Dragon capsule and Falcon 9 rocket, and congratulates SpaceX on this historic mission which further advances the efforts to decrease the cost of space missions. More information can be found at Space.com. October 5, 2016 – Blue Origin today launched its New Shepard launch vehicle with the intention of purposefully causing a booster failure to trigger the release of the crew capsule portion of the space vehicle. The New Shepard launch vehicle is a reusable rocket, which had previously achieved four successful space flight and return missions. With Blue Origin’s intent to provide commercial space tourism, this was a critical method for testing the crew capsule safety abort process in preparation for an actual unplanned launch emergency. In the case of an emergency or failure with the booster, the escape system triggers the detachment of the crew capsule. The crew capsule has its own rocket engine which fires to propel the capsule away from the rocket. 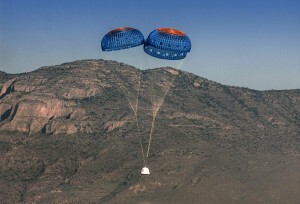 Then, parachutes deploy for the descent to Earth. The test today experienced a successful departure from the booster and a crew capsule landing at 16 miles per hour. 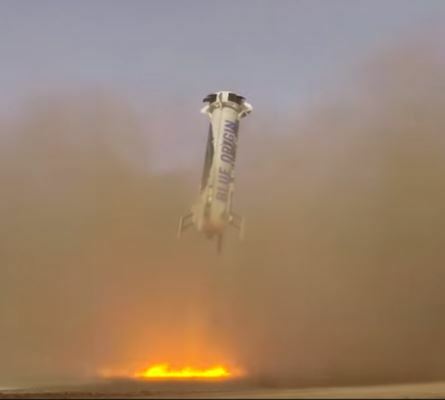 Additionally, the New Shepard rocket successfully continued to space and returned for its fifth vertical landing. Both the rocket and crew capsule will now be retired from future service. VPT congratulates Blue Origin and applauds its safety test methods. With VPT parts on board, we are proud to be part of Blue Origin’s historical missions. More information can be viewed on Blue Origin’s website. September 9, 2016 – NASA’s first asteroid sampling mission launched successfully last night from Cape Canaveral Air Force Station in Florida. The OSIRIS-REx spacecraft, which was launched aboard the ULA’s Atlas V, is traveling to near-Earth Asteroid Bennu. OSIRIS-REx is scheduled to reach the asteroid in 2018 to explore and eventually approach the asteroid to obtain a sample, which will be returned to Earth in 2023 for scientists to study. Asteroid Bennu is considered part of the early solar system and is classified as a potentially hazardous asteroid. The study of the asteroid’s material will allow researchers to better understand the asteroid orbiting patterns as well as gain further understanding of the origins of life in the solar system. VPT is extremely proud to have parts onboard this critical mission and congratulates NASA on the mission’s success to date. A mission overview video can be viewed via this link. March 23, 2016 – The European Space Agency (ESA) has developed an advanced program for Mars exploration called ExoMars, which involves two separate launches with orbiting and landing devices designed to gather evidence of signature gases of possible biological or geologic significance.In collaboration with Roscosmos, the first of the two missions recently launched and the Trace Gas Orbiter (TGO) has sent signals to ESA’s control center signifying the successful launch and operation of the system. After a seven month flight to Mars, the descent and landing demonstrator module of ExoMars TGO (Schiaparelli) is expected to separate and enter Martian atmosphere to land on the surface of the planet During this time, the TGO unit will begin a path to orbiting the planet at approximately 248 miles (400 kilometers) altitude and will function as a scientific data collection, communications and mapping system. The second launch of the ExoMars program is scheduled to launch in 2018. This portion of the program involves a rover which will collect bore samples and analyze the material within its internal laboratory. The scientific duration of the ExoMars mission is expected to run for five years. As a provider of power supplies for the ExoMars TGO, landing module and rover, VPT is honored to be involved in this important and unprecedented mission. For further information, please see the ESA’s ExoMars mission overview. January 29, 2016 – Last week, Blue Origin demonstrated the reusability of its New Shepard rocket with a second controlled vertical landing after reaching the height of 335,582 feet (101.7 kilometers). The same rocket was used in the world’s first rocket launch and vertical landing just two months ago. Both the unmanned crew capsule and rocket returned safely and according to plan. To achieve this type of repeated success, every element must work reliably and precisely. VPT is proud to have parts on board and share in this part of aerospace history. For more information, please see Blue Origin’s highlight video. December 22, 2015 – SpaceX made history last night with its first orbital class booster landing successfully on target after takeoff from Florida’s Cape Canaveral Air Force Station. The second stage of the upgraded Falcon 9 rocket continued on to launch 11 communications satellites into orbit. This is the first launch vehicle to reach orbit and successfully land. Together with Blue Origin’s recent launch vehicle landing, this achievement signifies major advancements for reusable rockets and the space industry as a whole. VPT congratulates SpaceX and is proud to have parts on board the Falcon 9. 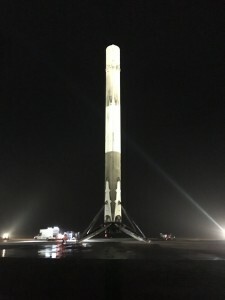 For more information, please see SpaceX.com or watch the highlight video . December 10, 2015 – Orbital ATK announced yesterday that its Cygnus CRS-4 spacecraft, which was launched via a United Launch Alliance Atlas V vehicle in Cape Canaveral on Sunday, December 6th, has reached the International Space Station and made a successful docking. 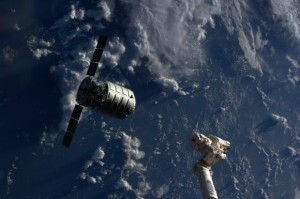 The enhanced Cygnus unmanned resupply vessel carries more than 7,000 pounds of materials including crew supplies, a Microsoft HoloLens, and scientific lab equipment that will support various experiments on life sciences and the behavior of gases and liquids in weightlessness. 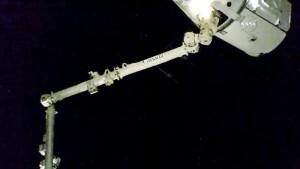 NASA astronaut, Kjell Lindgren operated the station’s robotic arm to dock Cyngus where it will remain connected to the station through most of January as astronauts unpack new supplies. The vessel will then be loaded with 3,000 pounds of unused and unneeded equipment and will disintegrate in Earth’s atmosphere after release from the International Space Station. VPT is proud to have parts aboard both the Cygnus spacecraft and Atlas V launch vehicle. More information can be found on NASA’s website. November 23, 2015 – Blue Origin’s New Shepard rocket completed an unprecedented trip to space for the first time on Monday – launching to a height of 329,839 feet and reaching a maximum velocity of Mach 3.72 – before making a successful return to earth completely intact. 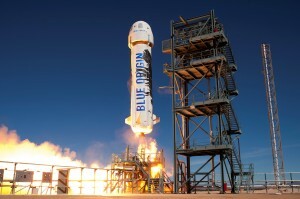 Amazon’s Jeff Bezos, founder of Blue Origin, rightly calls Blue Shepard a “game changer” since this is the first fully-reusable rocket that has gone into (and returned from) space. Since rockets have historically been disposed of after launching space craft, this is a major step in Blue Origin’s mission is to make space travel more affordable, efficient, and reliable. Bezos also stated, “We are building Blue Origin to seed an enduring human presence in space, to help us move beyond this blue planet that is the origin of all we know.” VPT is proud to have parts on board the New Shepard and congratulates the Blue Origin team on this amazing accomplishment. More information can be found on Blue Origin’s website. 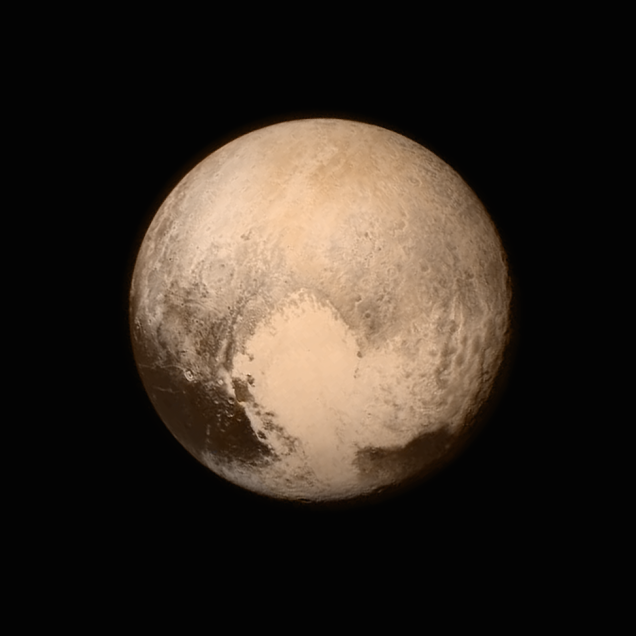 July 14, 2015 – NASA’s New Horizons spacecraft has reached its closest point to Pluto after traveling more than 3.6 billion miles for over nine years. While becoming the first spacecraft to fly by Pluto’s surface, New Horizons took the first high-resolution photos of the planet while it traveled within 7,800 miles at approximately 31,000 miles per hour. In addition to taking approximately 150 photos, several instruments aboard the spacecraft are taking spectroscopic measurements that can tell scientists more about the atmospheric structure, composition, temperature and surface geology of the dwarf planet. VPT is proud to have power products aboard New Horizons and be part of the technical achievement it represents. As the first mission to reach Pluto before it heads deeper into the Kuiper Belt, New Horizons helps humankind to better understand not only the dwarf planet but the outer reaches of our solar system. More information can be found on NASA’s New Horizons page. May 22, 2015 – This week, the United States Air Force successfully launched its X-37B unmanned reusable space plane, also known as the Orbital Test Vehicle (OTV) from the Space Launch Complex at Cape Canaveral Air Force Station in Florida. The space plane was packed upright inside the payload of an Orbital Atlas V Rocket. 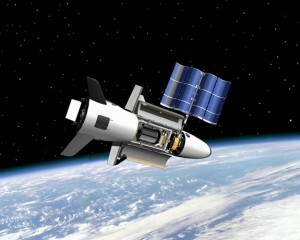 The X-37B is a robotic spacecraft built for long-duration missions in orbit and carries a solar array to generate power. Both the Atlas V Rocket and the X-37B utilize VPT’s high-reliability DC-DC converters and EMI filters, and we are proud to be a part of this successful mission. 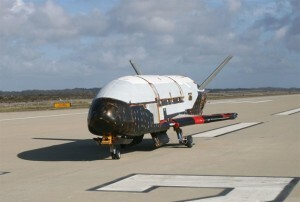 More information on the X-37B robotic space plane’s recent launch can be found on the United Launch Alliance website. December 8, 2014 – In a major advancement in deep space exploration, NASA’s Orion spacecraft recently completed its first unmanned test mission. VPT takes significant pride in being selected as a supplier of DC-DC converters and EMI filters for the spacecraft, which is intended to eventually send humans to deep space destinations such as Mars. In this highly successful mission, Orion traveled farther than any spacecraft designed for astronauts has been in over 40 years. The spacecraft orbited the Earth twice and reached an altitude of 3,600 miles above Earth. At speeds of 20,000 miles per hour and temperatures of near 4,000 degrees Fahrenheit, the flight tested systems most critical to safety for future crewed missions. 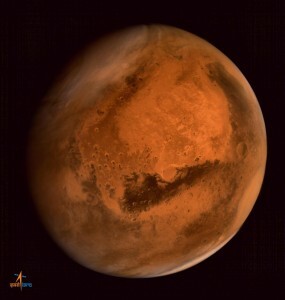 India’s Mars Orbiter, the Mangalyaan, has captured an amazing pole-to-pole photo of Mars from 46,292 miles (74,500 kilometers) above the planet. 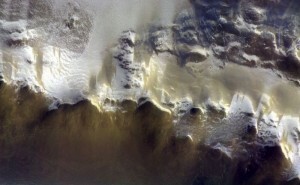 The Mars Color Camera that provided this imagery is powered with VPT DC-DC converters. Launched in November, 2013, The Mangalyaan/Mars Orbiter Mission reached Mars orbit on September 24, 2014. Photographic and other equipment on board will assist in studying the Red Planet. September 24, 2014 – Yesterday the SpaceX Dragon cargo ship, launched by the SpaceX Falcon 9 rocket, successfully connected with the International Space Station with over two tons of supplies and equipment for experiments for NASA. Although this is the fourth International Space Station cargo resupply mission by SpaceX, this particular cargo load carried unique items including live mice and the first made-for-space 3-D printer. The observation of the mice will be instrumental in determining the effects of space on bone density, musculature, and other anatomical systems. The 3-D printer may be used to create repair parts or tools that would otherwise need to be supplied from Earth. 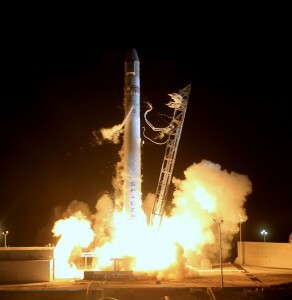 With VPT parts on board both the Falcon 9 and the Dragon capsule, we congratulate SpaceX on another successful mission. 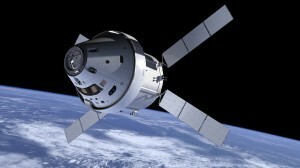 More detailed information as well as a video showing the connection of the Dragon cargo ship can be seen via Space.com. September 5, 2014 – What is becoming known as the world’s sharpest commercial Earth-imaging satellite, WorldView-3 by DigitalGlobe, has already illustrated the significance of its shortwave infrared (SWIR) sensor that enables high resolution imagery even through dense smoke or clouds. Utilizing the SWIR sensor, images from the satellite recently provided critical information about the extent and severity of a forest fire in California. In addition to infrared data and the ability to detect specific mineral content and species of vegetation, the imaging technology of WorldView-3 provides images at a 30-centimeter resolution. As a result, the energy sector, conservationists, and governments may be provided with information to better manage the Earth’s natural resources. VPT is proud to have components on board. Please see DigitalGlobe’s blog for more information. 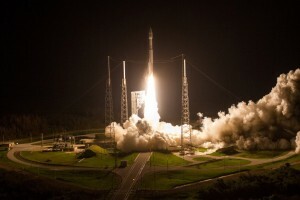 April 3, 2014 – The United Launch Alliance today successfully completed its mission to launch the U.S. Air Force’s Defense Meteorological Satellite Program (DMSP)-19 into orbit via the Atlas V 401. 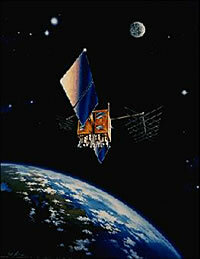 Launching from Vandenberg Air Force Base in California, the DMSP is a satellite system to collect and disseminate environmental data to the Department of Defense and other government agencies. This is the 80th mission for the ULA since it was founded in 2006, and VPT is proud to be on board. January 9, 2014 – NASA recently completed its 30-day Lunar Laser Communication Demonstration (LLCD) on board the Lunar Atmosphere and Dust Environment Explorer (LADEE) spacecraft. The communication demonstration program, utilizing VPT products, successfully transmit data using a pulsed laser beam 400,000 km between Earth and the moon at an unprecedented rate of 622 megabits per second (Mbps). The program also demonstrated the viability of laser as a communications method for future NASA missions, including the ability to transmit high definition video. The link to the video featuring NASA Administrator Charles Bolden which was sent via laser to the moon and back to Earth can be viewed here. Additionally, more information on this program can be found via NASA’s website. December 4, 2013 – Last night SpaceX completed a successful launch of its Falcon9 and transfer of Orbital Science’s SES8 Satellite into geostationary orbit. VPT helped power this event, which marks the first time SpaceX has reached a distance of nearly 50,000 miles (80,000km) above the earth. The successful launch and transfer mission also helps SpaceX continue its certification process for the Evolved Expendable Launch Vehicle Program (EELV) to be eligible for all National Security Space (NSS) missions. The SES8 telecommunications satellite, which weighs approximately 7,000 pounds (3,175kg), will provide signals to television and broadband customers of SES in Asia. More information can be found via SpaceX. Sept 30 – 2013, VPT congratulates Orbital Sciences Corporation with the successful docking of its Cygnus cargo ship to the International Space Station (ISS) yesterday. 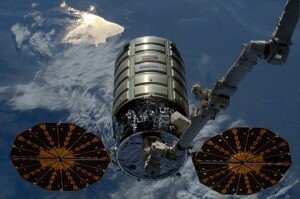 VPT proudly powers systems on the Cygnus as well as its Antares launch rocket. The unmanned Cygnus was launched to orbit on its inaugural flight on September 18th, carrying approximately 1,300 pounds (589 kilograms) of cargo, including everyday essentials, science experiments, gear, and spare parts to the International Space Station’s Expedition 37 crew. The rendezvous represents a critical milestone in space development as the second commercially developed resupply ship to successfully connect with the ISS under NASA’s Commercial Orbital Transportation Services program. More information can be found by visiting NASA or Orbital Sciences Corporation online. VPT’s DC-DC converters and EMI filters were in place during a recent Flight Test Operational carried out by the U.S. Missile Defense Agency utilizing Lockheed Martin’s Terminal High-Altitude Area Defense (THAAD) Weapon System. 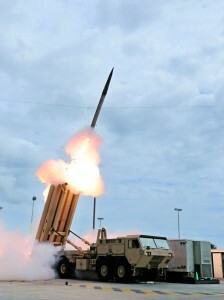 The test stressed the ability of the Aegis Ballistic Missile Defense (BMD) and THAAD weapon systems to function in a layered defense architecture. The missile defense flight test successfully intercepted two near-simultaneous ballistic missile targets. View additional information via the U.S. Department of Defense. The EURO HAWK unmanned aircraft system (UAS) set a flight endurance record while utilizing VPT’s high efficiency DC-DC converters and EMI Filters. The EURO HAWK UAS flew non-stop for 25.3 hours in European airspace and reached 58,600 feet over Manching Air Base in Germany. 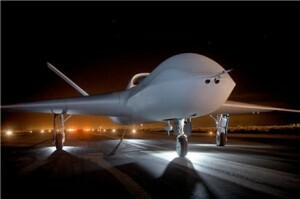 The flight represented the longest duration flown in European skies by an un-refuelled UAS in the more than 30,000-pound class. VPT powers vital systems on the Canadian Department of Defense’s Sapphire mission, a satellite-based Resident Space Object (RSO) observing service, which is a key element of the Canadian Space Surveillance System. 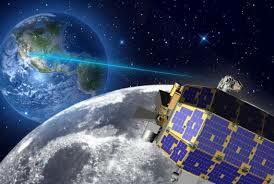 The Sapphire satellite is an electro-optical sensor that provides tracking data on deep space orbiting objects. Data from the satellite will contribute to the U.S. Space Surveillance Network, enhancing the ability of both the U.S. and Canada to detect and avoid the collision of critical space platforms with other satellites or pieces of debris. VPT proudly powers several systems on the exciting new private launch rocket, Orbital Science’s Antares. 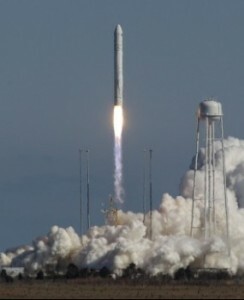 Orbital Sciences holds a $1.9 billion NASA contract to make eight unmanned supply runs to the International Space Station with its Antares rocket and Cygnus cargo ferry. View the program details in this quick infographic from Space.com: http://www.space.com/20526-antares-rocket-cygnus-spacecraft-explained.html. VPT is utilized in critical flight systems on the Atlas V expendable launch vehicle. Run by the United Launch Alliance of Lockheed Martin and Boeing, the Atlas V has logged nearly 600 launches to date with 100% mission success. 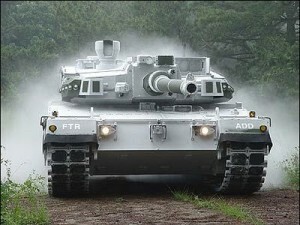 VPT is proud to power multiple systems in South Korea’s Main Battle Tank K2. For its critical systems, this vehicle depends on VPT DC-DC converters and EMI filters to provide reliable power under extreme operating conditions. View:VPT’s solutions for armored ground vehiclesVPT’s Hi-Rel COTS Series of DC-DC converters and accessories. VPT was on board when Space Exploration Technologies (SpaceX) successfully launched its Falcon 9 rocket carrying a Dragon spacecraft bound for the International Space Station (ISS). After orbiting, the Dragon capsule successfully attached to the ISS to deliver food and supplies to the astronauts stationed there. Space Exploration Technologies (SpaceX) made history when its Dragon spacecraft became the first commercial vehicle in history to successfully attach to the International Space Station. 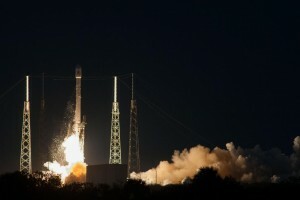 Previously only four governments — the United States, Russia, Japan and the European Space Agency had achieved this challenging technical feat.VPT is proud to be a part of the excitement, powering a variety of environmental, antenna, and safety controls on board both the Falcon 9 rocket and the Dragon space capsule. VPT is powering vital systems on General Atomics’ Predator series of Unmanned Aerial Vehicles (UAVs), including communications systems, radar systems, various sensors, and central monitoring systems. These aircraft have logged over 1,000,000 flight hours worldwide, with 40 in the air at any given second of any day. VPT is helping to save lives and field equipment by powering the Husky Mounted Mine Detection System (HDMS). This innovative detection system functions on manned, blast-resistant Husky vehicles to provide rapid ability to scope out anti-vehicular landmines and other explosive hazards on main supply routes (MSRs) and additional open areas as needed. The Joint Strike Fighter (JSF) Program, formerly the Joint Advanced Strike Technology (JAST) Program, is the Department of Defense’s focal point for defining affordable next generation strike aircraft weapon systems for the Navy, Air Force, Marines, and our allies. 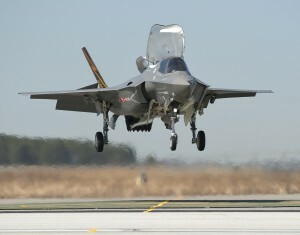 The focus of the program is affordability — reducing the development cost, production cost, and cost of ownership of the JSF family of aircraft. VPT is powering a variety of systems aboard this new aircraft. VPT helps keep Bell Helicopter in the air 24 hours a day, 7 days a week, 365 days a year by powering critical data systems. 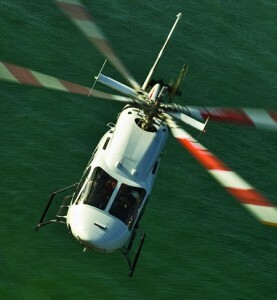 The Bell Helicopter 429 is one of the most advanced light twin IFR (Instrument Flight Rules) helicopters ever developed. Delivering exceptional speed, range, hover performance, and enhanced safety margins, it serves the full spectrum of segments including air medical, law enforcement, oil & gas, utility, corporate, etc. 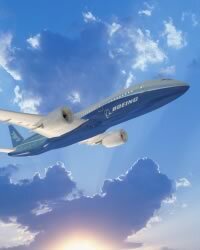 VPT is flying high with Boeing these days powering numerous systems on the new 787 Dreamliner. VPT is now powering systems on the Airbus Military C295, a new generation, very robust and reliable, highly versatile tactical airlifter able to carry up to nine tons of payload or up to 71 personnel, at a maximum cruise speed of 260 kt /480 km/h. Fitted with a retractable landing gear and a pressurized cabin, it can cruise at altitudes up to 25,000 ft, while retaining remarkable short take-off & landing (STOL) performance from unprepared short, soft and rough airstrips. VPT helped NASA open a new chapter in our understanding of the moon. Preliminary data from the Lunar CRater Observation and Sensing Satellite, or LCROSS, indicates that the mission successfully uncovered water during the Oct. 9, 2009 impacts into the permanently shadowed region of Cabeus crater near the Moon’s south pole. 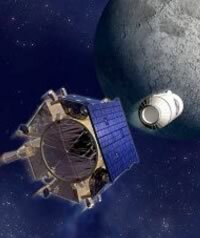 LCROSS traveled to the Moon as a co-manifested payload aboard the launch vehicle for the Lunar Reconnaissance Orbiter (LRO). LRO is designed to map the lunar surface and characterize landing sites for future missions.Keep up with LCROSS and LRO with NASA. With VPT on board since its launch, the aircraft has carried over 2,100 passengers and made 543 stops in 73 countries. 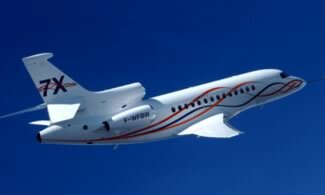 The Falcon 7X has the longest range of any Falcon business jet. Special attention was given to enhancing its cabin comfort for flights lasting up to 13 hours. Since its entry into service, the 7X cabin has set a new standard for business jets. Incorporating VPT components, the Light Weight Mine Roller is used to detonate and neutralise buried pressure-fused mines and other explosive devices. 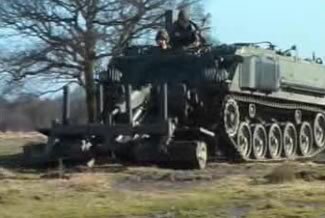 It is designed for light and medium wheeled and tracked vehicles. 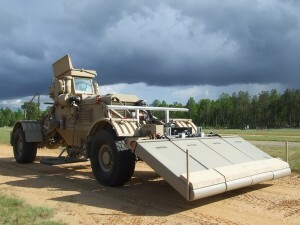 Currently deployed, the Light Weight Mine Roller (www.pearson-eng.com) is saving lives worldwide as it searches for mines in front of land vehicles. 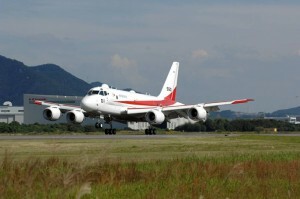 VPT is powering Japan’s new XP-1 aircraft, the next generation of the former P-3C Orion plane. As the successor to the P-3C, the XP-1 is used for prolonged, extensive patrols in the sea areas surrounding Japan. 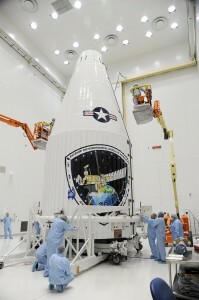 The U.S. Air Force successfully launched the last in the series of eight modernized GPS (IIR-M) satellites. Using the Space Launch Complex 17A at Cape Canaveral Air Force Station, Florida, the satellite was carried into space aboard the last of the Air Force’s United Launch Alliance Delta II rockets. GPS IIR-21(M) will join the constellation of 30 operational satellites on-orbit, assuming a position in plane E, slot 3 and replacing space vehicle number 40 (SVN40). The Air Force expects to set the satellite for navigation users worldwide. In 2006, NASA dispatched an ambassador to the planetary frontier. The New Horizons spacecraft is now halfway between Earth and Pluto, on approach for a dramatic flight past the icy planet and its moons in July 2015. VPT is powering the Cosmic Dust Experiment (CDE) on this mission. It is performing well as it collects data on cosmic dust in the solar system on the way to Pluto. After 10 years and more than 3 billion miles, on a historic voyage that has already taken it over the storms and around the moons of Jupiter, New Horizons will shed light on new kinds of worlds we’ve only just discovered on the outskirts of the solar system.Check in on the current status of New Horizons. Currently orbiting Venus, this mission’s science objectives are to study the atmosphere, the plasma environment, and the surface of Venus in great detail. It has been successfully operating in orbit around Venus since April 2006. Recently, this spacecraft was busy taking measurements during the transit of Venus across the Sun. According to the Venus Express blog, the spacecraft orbiting Venus is measuring sunlight as it filters through Venus atmosphere, revealing the concentration of different gas molecules at different altitudes. 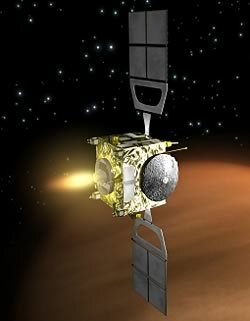 Simultaneous ground-based measurements will be compared with Venus Express data to test techniques use to characterize rocky Earth-size planets. See what’s going on with Venus Express today. 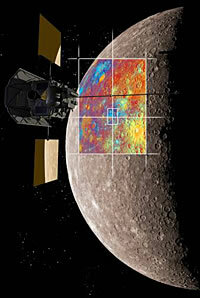 NASA’s MESSENGER mission team and cartographic experts from the U.S. Geological Survey have created a critical tool for planning the first orbital observations of the planet Mercury a global mosaic of the planet that will help scientists pinpoint craters, faults, and other features for observation. The MESSENGER team is currently in the orbital phase of the mission, and the near-global mosaic of Mercury from MESSENGER and Mariner 10 images is key to those plans. See what’s new with MESSENGER.